Have I ever come to a place in my experience where I can say - "I indeed - but He"? 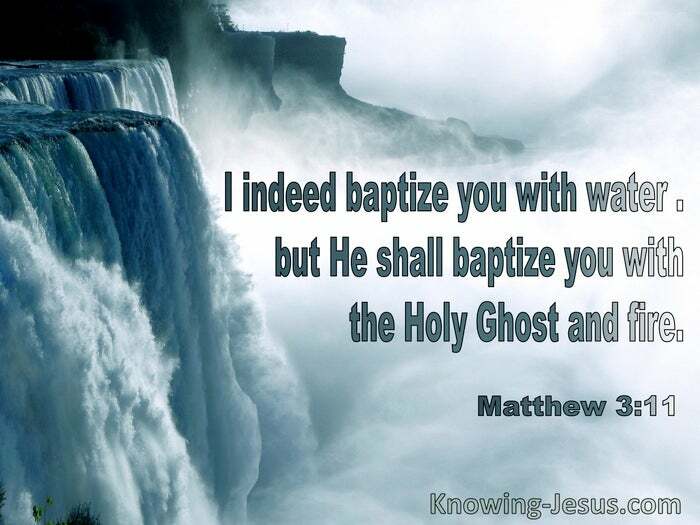 Until that moment does come, I will never know what the baptism of the Holy Ghost means. I indeed am at an end, I cannot do a thing: but He begins just there - He does the things no one else can ever do. Am I prepared for His coming? Jesus cannot come as long as there is anything in the way either of goodness or badness. When He comes am I prepared for Him to drag into the light every wrong thing I have done? It is just there that He comes. Wherever I know I am unclean, He will put His feet; wherever I think I am clean, He will withdraw them. Repentance does not bring a sense of sin, but a sense of unutterable unworthiness. When I repent, I realize that I am utterly helpless; I know all through me that I am not worthy even to bear His shoes. Have I repented like that? Or is there a lingering suggestion of standing up for myself? The reason God cannot come into my life is because I am not through into repentance. "He shall baptize you with the Holy Ghost and fire." John does not speak of the baptism of the Holy Ghost as an experience, but as a work performed by Jesus Christ. "He shall baptize you." 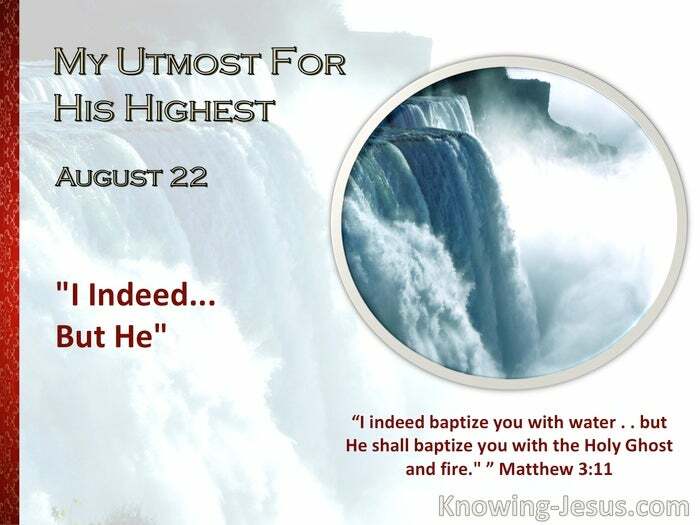 The only conscious experience those who are baptized with the Holy Ghost ever have is a sense of absolute unworthiness. I indeed was this and that; but He came, and a marvellous thing happened. Get to the margin where He does everything.